Growing Herbs Indoors? 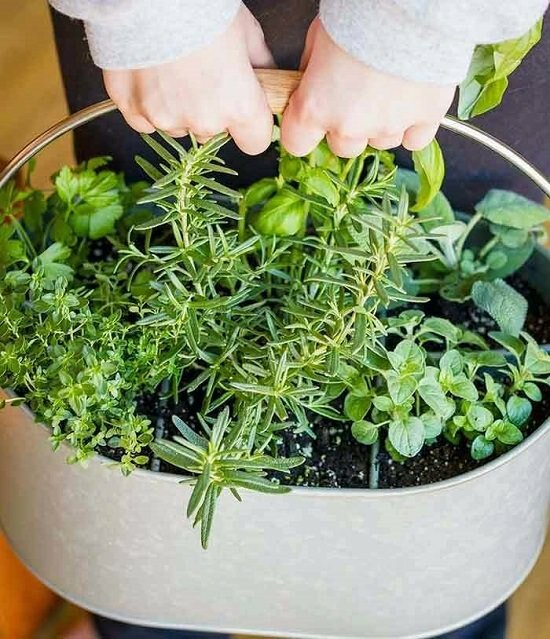 Our 46 Indoor Herb Garden Tips will help you get the YEAR-ROUND supply of fresh aromatic herbs right in your home. The need to use the herb in dishes arises quite often. Many people plant them in the backyard for the fresh supply of herbs. But what if you don’t have much space available for planting or the outdoor conditions are not suitable for the herbs you want to grow? Don’t worry! You can grow herb indoors. There are certain things to keep in mind, explained well in these Indoor Herb Garden Tips. 1. 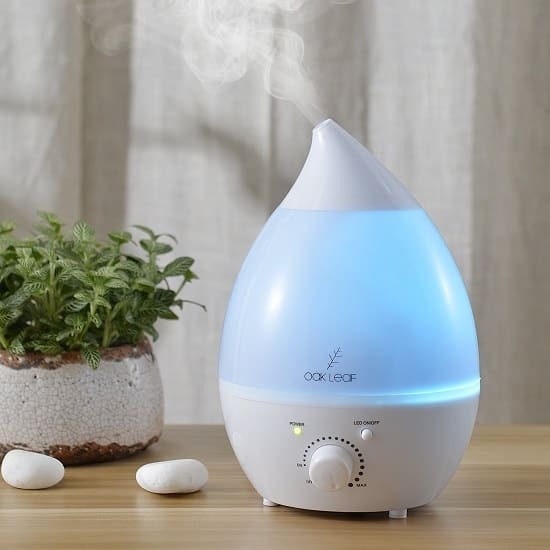 Find the brightest spot with good air circulation in your home when growing herbs indoors. 2. Herbs, to grow well, prefer 5-8 hours of direct sunlight daily. 3. If you have a South or West facing window you are in luck. An East facing window can be good as well. 4. Herb plants, if not receiving enough sunlight will remain unproductive and show the leggy and awkward growth. 5. Try your luck with shade-tolerant herbs like parsley, mint, lemon balm, chives, etc. 6. Herbs do not like to sit in water for prolonged periods, so it is essential to provide adequate drainage. 7. 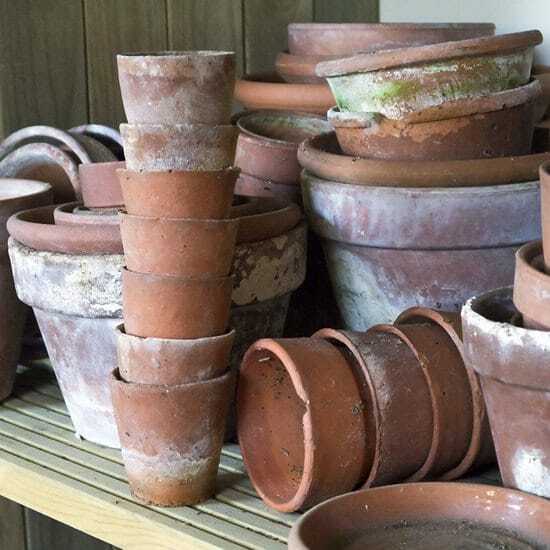 Go for clay pots as clay pots dry out quickly. They promote drainage through their pores. 8. You can also opt for modern plastic or metal pots. Ensure there must be the sufficient drainage holes in the bottom. 9. Always place pots in a saucer, liner or drain pan so that tabletop or windowsill does not get ruined because of water draining out from the bottom. Saucer should not be made of any porous medium otherwise it’ll be ineffective. 10. Although some herbs can tolerate temperature up to 100 F (38 C) and down to 40 F (4 C), it’s best to keep the room temperature between 60-80 F (15-27 C). Not letting it go up above 90 F (32 C) for those who live in a hot climate, and down below 50 F (10 C) for those who live in a cool climate. 11. 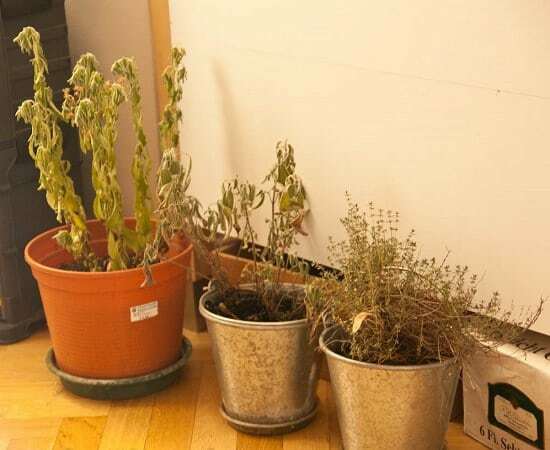 Keep your indoor herbs away from cold drafts and heat vents. 12. 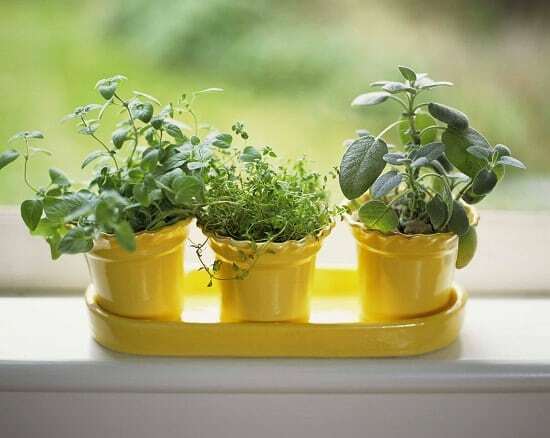 Growing herbs indoors is fruitful in winters, this way you can grow them year round. It’s a practical idea for those as well who lack the gardening space. 13. 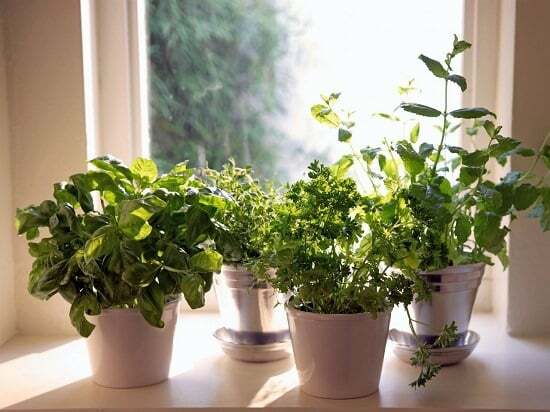 If growing herbs near the window, let them not come in contact with the window glass as it becomes very cold in winters. 14. Some herbs such as basil and marjoram are sensitive to cold, their leaves start to fall, wilt or show discoloring if they are exposed even a bit to the cold drafts. So do not open window, if these herbs are placed nearby that window. 15. Herbs are known to die more probably from overwatering than underwatering. So make sure that you manage your watering spells in a way that the soil does not turn soggy or overly wet. 16. The soil dries from top to bottom so don’t fret if the topsoil is dry, it can still be moist underneath. 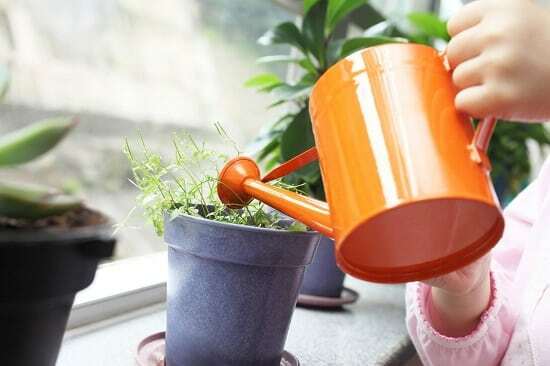 The best way to check if the plant needs watering is by inserting your finger in the topsoil. Water the pot when you find soil is dry two inches below the surface. 17. Another point to take into account is watering slowly. Soil needs time to absorb water, so if you water at a high pace, it will start draining out from the bottom without soil actually getting a chance to absorb it. 18. Watering is required 2-3 times a week and may vary slightly depending on the size of the pot, weather, humidity conditions, temperature, your climate and the type of herb of you’re growing. 19. 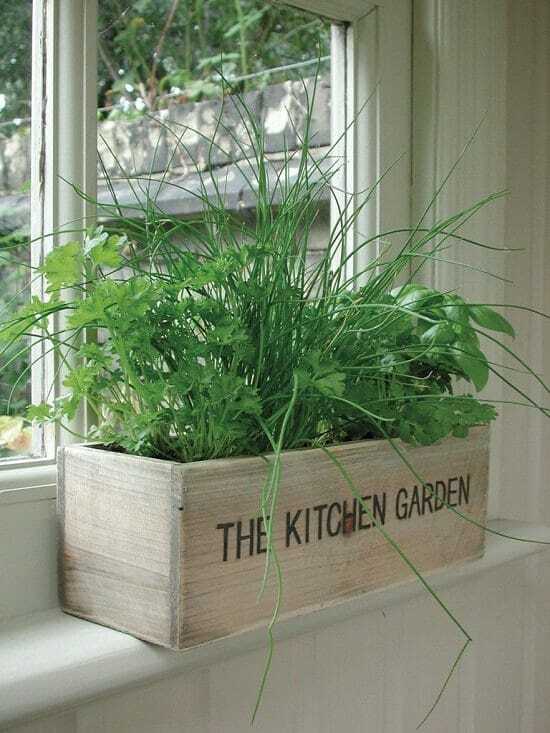 When growing herbs indoors, it’s better to keep them on a drier side and treat them as a houseplant. 20. While selecting the pot, the size of the container is also an important consideration. Pot size mainly depends on the root system of the herbs. 21. Shallow root herbs that can grow in 6 inches deep small pots are chives, thyme, oregano, tarragon, and parsley. 22. Deep root herbs you can grow in 8 inches deep large pots are basil, cilantro, summer savory. 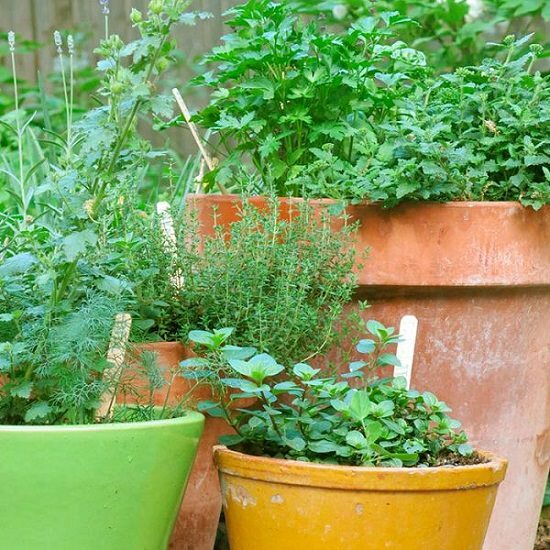 Herbs like rosemary, mint, dill, and lemongrass require at least 10 inches deep pots. 23. Select some colorful pots to give an aesthetic appearance indoors. You can also reuse old tins and cans and transform them into unique planters. 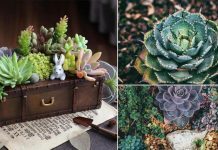 Here’re our 100+ Exciting DIY Planter Ideas For Inspiration. 24. You can also plant two or three herbs in a single pot. 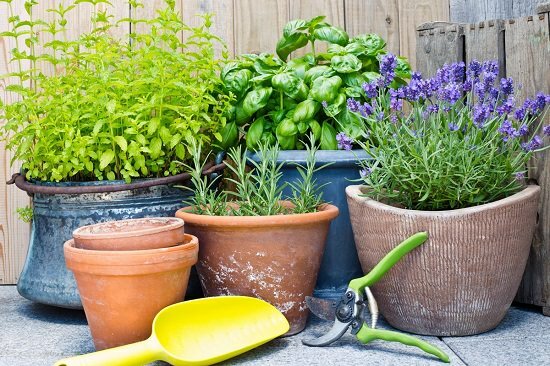 Creating a container herb garden combinations. For this, plant herbs with similar growing requirements together. Check out 33 herb garden combinations here. 25. Invasive herbs must be planted separately. 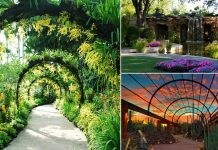 Herbs that prefer more sunlight and dry soil must not be planted with shade-loving herbs. 26. The salt buildup can take place due to overfertilization. 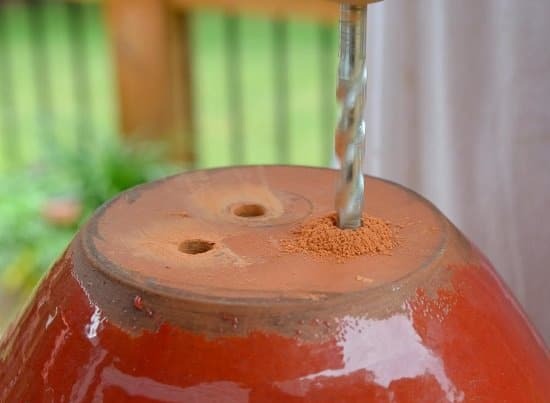 Also, when you use tap water for watering plants it contains dissolved salts that get accumulated around the rim of the pot and in the potting soil in the form of a white substance. This buildup if left untreated is harmful to the herbs. 27. There is a simple process to get rid of this buildup. All you have to do is flush the salt buildup away by placing the pot under running water for a while until water starts to drain from the bottom of the pot. Allow the water to completely drain from the bottom of the pot before placing it at actual position. 28. Although you can use tap water for flushing out the salts, rainwater or distilled water is more effective in removing the dissolved salts. Keep flushing your pots regularly after some months interval or as soon as you observe salt buildup. 29. Soil mix plays a most important role in the drainage factor. Especially in case of indoor herbs, the soil should have additional drainage, so before selecting any potting mix do check the label that it is suitable for indoor plants. 30. The potting mix will have drainage according to the perlite present in it. You can add perlite to the soil improve its drainage. 31. Avoid using normal soil from the ground in your potting mix, it is very compact and your plant roots will not have room to breathe if planted in it. You can prepare the potting mix according to the need of the specific herb. For example, add a little extra peat for moisture-loving herbs such as mint or parsley, whereas for Mediterranean herbs, add some sand as they prefer the soil to be somewhat drier. 32. You can also make your own potting soil. Almanac.com has a great article on it, must read it here. 33. 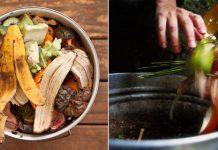 At the time of planting, you can add 1/3 part of compost or well-rotted cow manure to improve the texture and nutrient composition of potting mix. 34. Fertilize your indoor herbs lightly. Fertilizing more often may increase the growth and lushness of your herb plants but dilapidates their aroma and taste. 35. Fertilize in every 2-3 weeks in low strength. Use a general-purpose liquid fertilizer. For more organic approach, feed the herbs with fish emulsion or liquid seaweed fertilizer. 36. If you don’t want to use fertilizer, spread one or two handfuls of compost or well-rotted manure over the topsoil of potted herbs in every 2-3 months. 37. 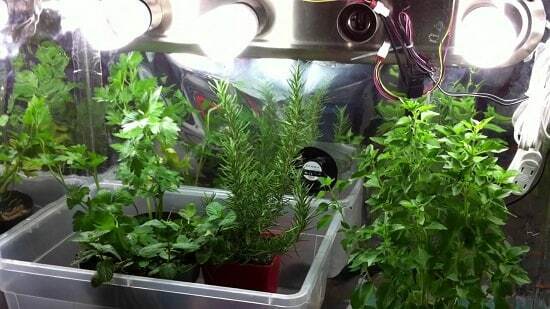 If sunlight is not enough, you can also use normal CFL bulbs as a supplemental light source to grow herbs. 38. Place herbs 5-6 inches away from the light source, for every one hour of sunlight, provide two hours of fluorescent light. If your plant is completely relying on the artificial light source, provide 14-16 hours of light to it. 39. The CFL bulb must cover the entire plant, you can adjust the number of bulbs accordingly. Here’s a good read on how to use CFL bulbs to grow plants indoors. 40. From 3 common color temperatures–warm white, cool white, and daylight or natural, choose daylight color CFL. Daylight color bulbs are more bluish and brighter and as we know plants prefer blue spectrum light for vegetative growth, they are perfect. 41. Indoor herbs mainly die due to overwatering, to avoid root rot and other infections, water with care. 42. Lack of air circulation is one of the culprits too that cause plant diseases. Provide proper air circulation when growing herbs indoors. Check out our article to learn how to improve air circulation for your plants. 43. Pest problems are not difficult to handle indoors, you can handpick the pests and squash them. In case of pest infestation, squirts of water on the plant can eliminate them or spray with insecticidal soap or horticultural oil. 44. Aphids, mealybugs, spider mites, and scale insects can affect your indoor herbs, so keep an eye on them. 45. Dry air can be a problem in winters and summers. To counter that, raise humidity levels. Use a humidifier or put the plants on trays full of pebbles and fill them with water, stop just before it touches the top surface of pebbles. Water will evaporate from the tray and increase the humidity level around plants. 46. Herbs grown from seeds take a lot of time to grow when you’re planting just a few plants, it’s a smart idea to start them by seedlings or transplants.